The photographs must accurately reflect the theme, “Reveal the Silk Roads”, through representations of culture, monuments, landscape, and people. PRIZE DETAILS: - The contest will culminate with an awards ceremony, with three winners being selected from each category. 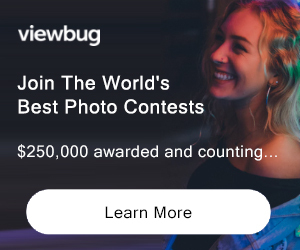 - First place winners will receive a professional camera. - Second place winners will receive a semi-professional camera, and the prize for third place will be a standard-model digital camera. - In addition, winners will receive an all expenses paid trip to the ceremony. - Those under 17 years of age may be accompanied by one other family member, courtesy of UNESCO. - A travelling exhibition of fifty photos which best represent the spirit of the contest will start its tour in UNESCO HQ in Paris, before travelling to other countries. - To commemorate the occasion, these exceptional photographs will ultimately appear in a professionally bound collection of printed images. Not eligible to enter? - Find contest where you are. COPYRIGHT: Each participant in the photography contest certifies that he or she is the sole copyright-holder of all submitted photographs and they are original to him/her. The participant understands and agrees that the submitted materials will become the property of the Organizer and will not be returned. In addition, the participant waives the right to inspect or approve any finished products, whether in written or electronic form. The participant waives any right to royalties, payment or other consideration arising from or related to the use of the photograph(s). The participant agrees to indemnify UNESCO and holds it harmless against any third party claims for loss, injury, damage (including any legal costs and/or other expenses properly incurred), prejudice, liability or expense suffered as a result of or in any manner in connection with the entry, any other of the acts or omissions or any information provided, including but not limited to, claims for violation of copyrights. The participant recognizes UNESCO as a specialized agency of the United Nations enjoys the 1947 Convention on the Privileges and immunities of the Specialized Agencies. 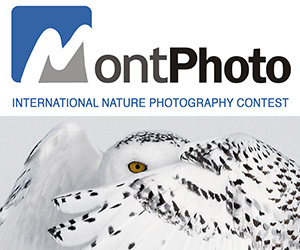 The participant grants the Organizer the right to use his or her name, photograph, image or likeness in the context of any recording, any presentation, speech or other form of publicity in connection with the photography competition. The following credit shall be given: © NAME OF PHOTOGRAPHER/UNESCO. The participant agrees that if an amicable settlement of any dispute relating to the contest cannot be reached, it shall be referred to arbitration in accordance with the UNCITRAL (United Nations Commission on International Trade Law) Arbitration Rules. USAGE RIGHTS: The participant has full power to authorize the use of the photographs. The participant grants to the Organizer, free, worldwide non-exclusive rights for the whole term of copyright, to use, edit, alter, copy, exhibit, reproduce, adapt, publish or distribute and redistribute the photographs in full or part for purposes of publicizing the Organizer’s programmes or for any other lawful purpose and communicate to the public, worldwide, in any language in printed and electronic format, the whole or any part of the submitted photographs.